A year after bringing Uber Eats to the Saudi capital Riyadh, Uber has now launched its food delivery service in Jeddah this week. Jeddah is now among the less than 10 cities from MENA that have Uber Eats. The service is available in more than 350 cities all around the world. 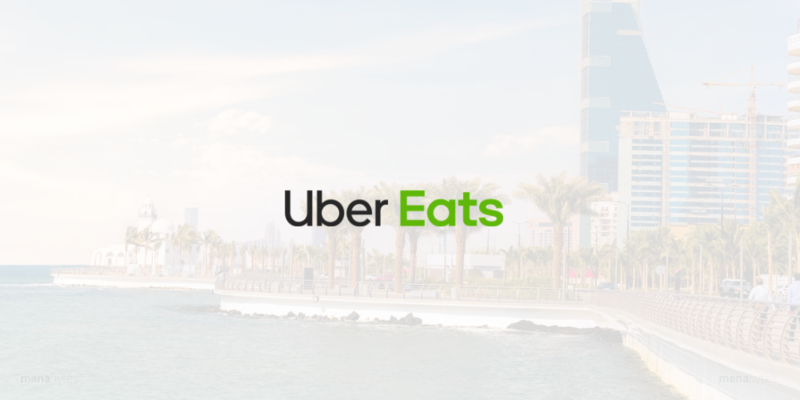 Uber Eats’ Jeddah launch comes two months after Careem expanded into food deliveries launching Careem Now in Dubai & Jeddah. Damien Drap, General Manager, Uber Eats GCC, commenting on the launch, said, “The launch of Uber Eats in Jeddah is a clear indication of its growing popularity in the region. We are delighted to offer the service to food lovers in the city and I am sure they will be impressed not only by the wide selection of restaurants and food options but also by the reliability and delivery experience. “Using our technology, people can order their favorite meals at the touch of a button and track their orders in real-time until they are delivered,” he added. Uber Eats can be used by downloading the dedicated Uber Eats app and your regular Uber account. The service is currently available in limited areas of Jeddah including Al Hamraa, Al Rawdah, Al Bawadi, and Al Naeem, from 10 am to 2 am and has a fixed delivery fee of SAR 9 ($2.4). Introductory delivery fee, though, has been set as SAR 1 ($0.27) and the users can avail 50% discount on the total amount of their first two order using JEDDAH50 promo code.